Wishing you much love and many blessings in 2018! This year we have decided to donate any money we spend on Christmas cards into our bursary fund that will go towards helping someone change their life at Hebron. 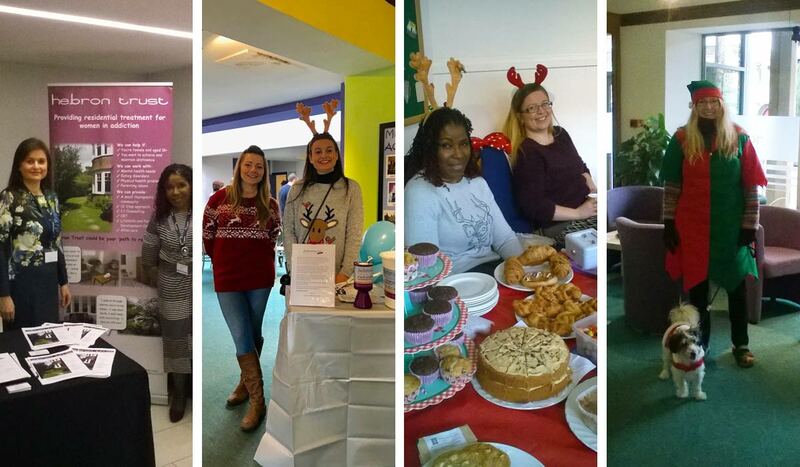 We recently raised over £1000 at our Christmas fayre which was a lovely day with activities and stalls. Thank you to the Virgin money lounge and Robert Fleck for helping us raise more money at our recent raffle. Prizes included a signed Norwich City Football and a flight over the winners house. Watch out for our next raffle at Easter. Look out for details of an exciting event next year in June when two members of staff are doing a very special sponsored event . This promises to be one to watch – more details to follow – top secret planning in progress! Please do give to our bursary fund. Many women are not eligible for social services funding. We are trying to raise 10k to give someone a place at Hebron House for 3 months. Every penny you donate goes directly to this fund. Please change someones life today!